On the frozen shores of Sweden, lightning strikes from a clear sky. The skeleton of a huge man is revealed, its fingers clutched around the handle of an iron hammer. No one who comes to see this marvel from Norse mythology can lift it -- no one but Hellboy, who lifts the hammer just in time for lightning to strike again, welding it to his hand and leading him towards a bizarre series of visions and encounters. 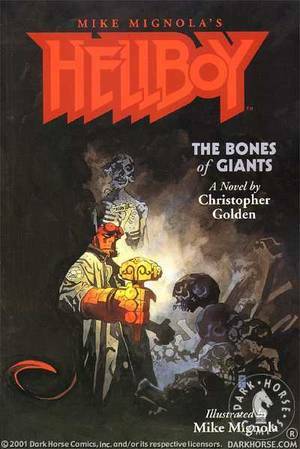 Chris Golden, author of the popular Hellboy: The Lost Army novel, makes his return to the character in a novel illustrated by Mike Mignola, award-winning creator of Hellboy and production designer of Disney's summer blockbuster, Atlantis.